BOM IT Solutions had an unused floor within their offices in Bristol. 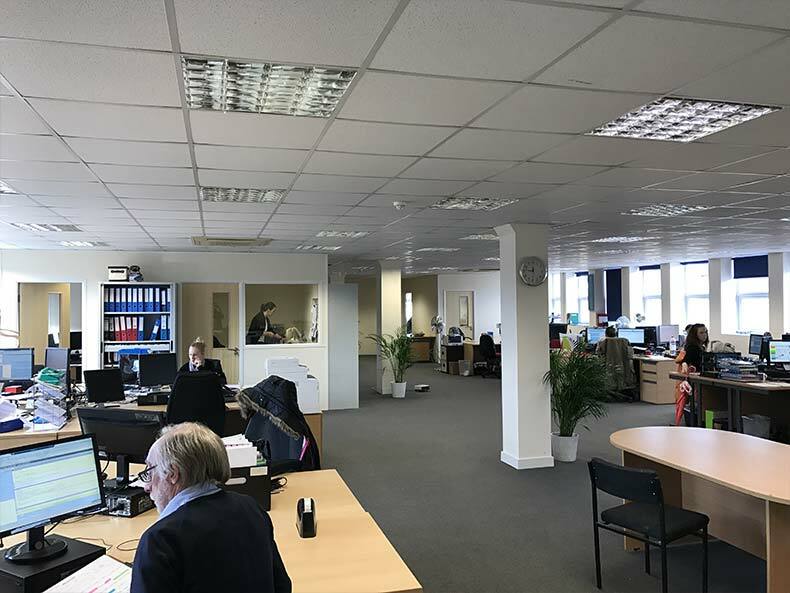 Due to the changing nature of IT Solutions, they no longer required the vast space and wanted to lease out the area to other businesses. 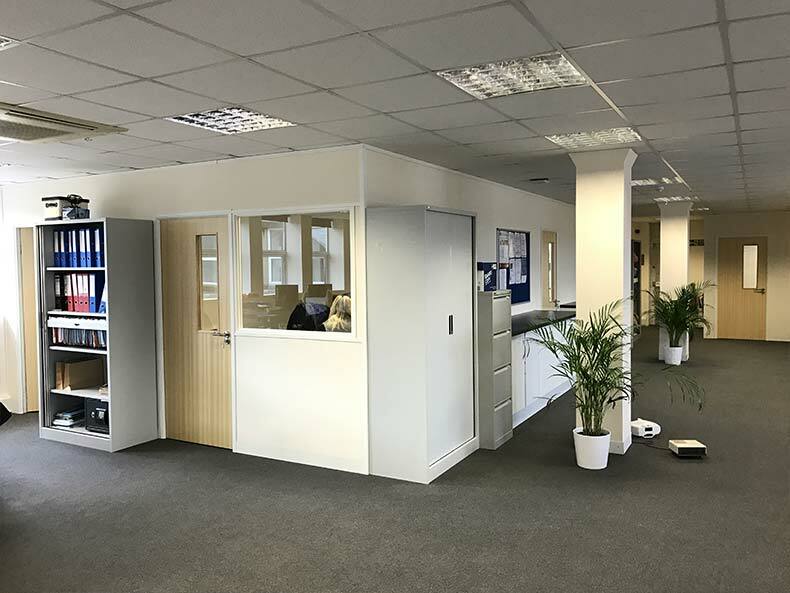 Avent Interiors were approached to plan layouts and carry out Dry Lining in Bristol to divide the area into two self-contained Office spaces. 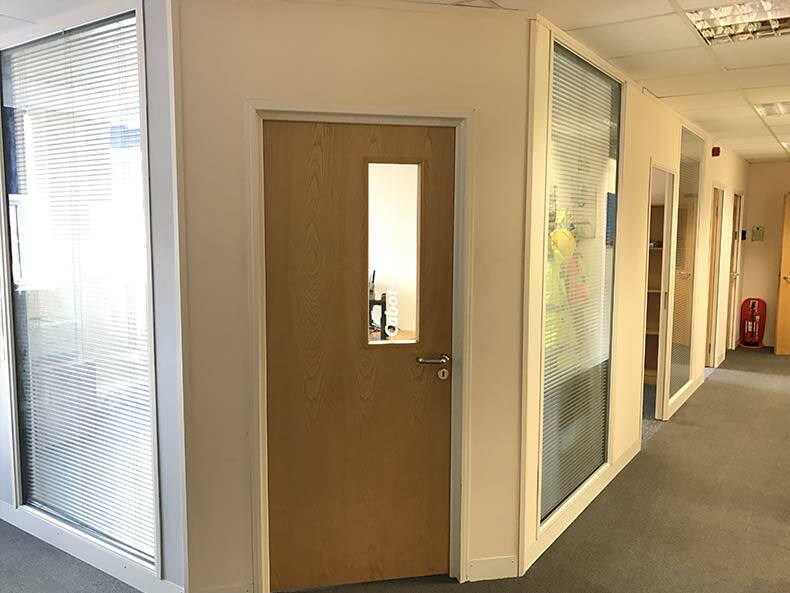 Avent Interiors were later approached by both new occupants, Crendon Timber, and Highcroft Vets to carry out Office Partitioning work within each of their new Offices. Segmentation of Office space into two separate units. Cost-effective solution to dividing a large open area. Increased revenue from leasing space to other businesses. Experienced Dry Liners to ensure a quality finish. Avent constructed a large L-shaped Partition using the method of Dry Lining. Created two self-contained Offices to be leased by BOM IT. 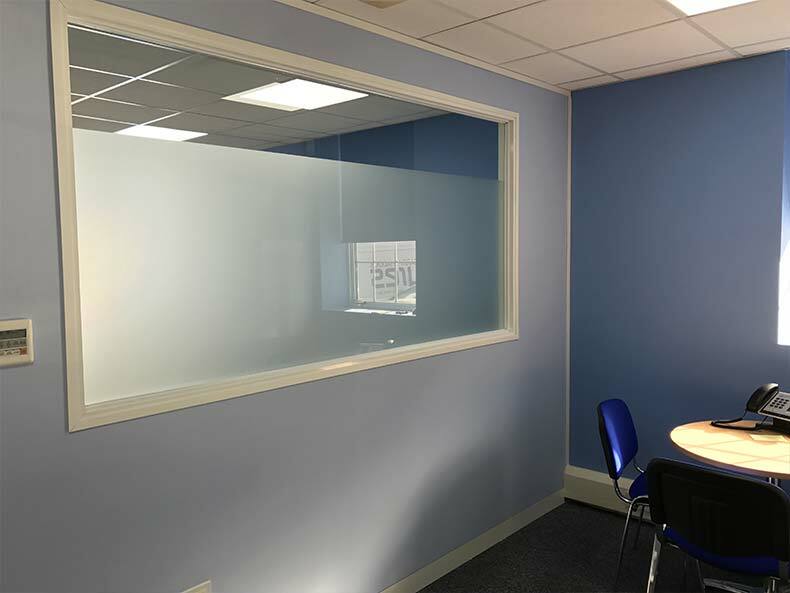 Post completion of initial works, both tenants approached Avent to install Office Partitioning. Avent worked with both parties to ensure their requirements were met within budget and completed ready for their move in dates. 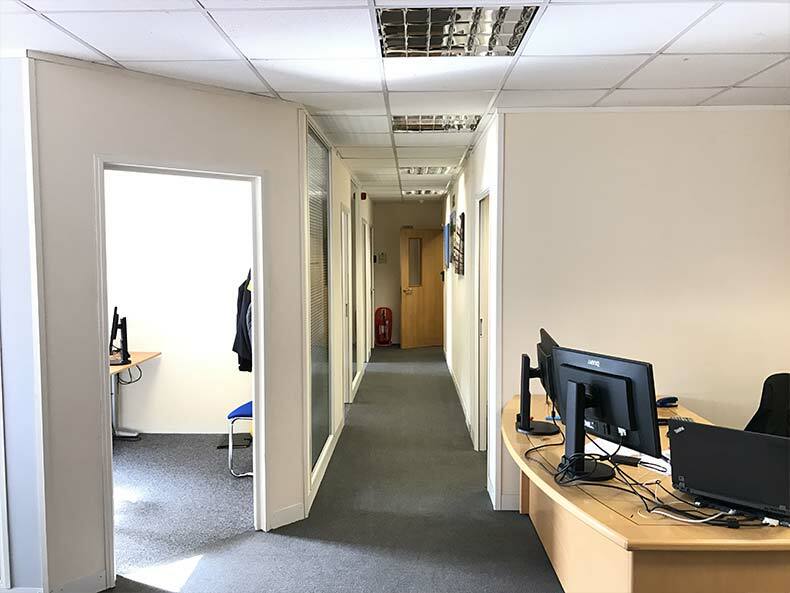 After working on behalf of the landlord BOM IT and then both tenants, Crendon Timber and Highcroft Vets Group; an entire level of Office space had been transformed from an open plan format into two self-contained Office units. 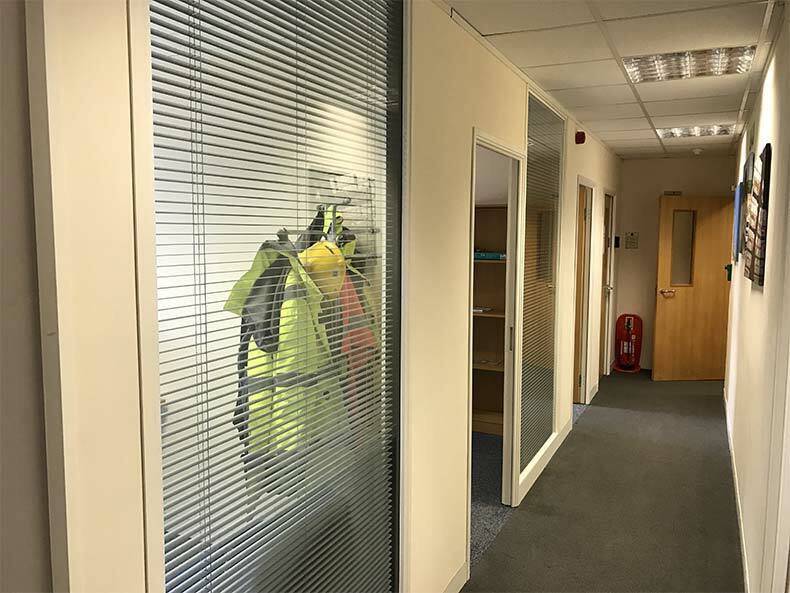 Both units had also benefitted from additional Office Partitioning that fulfilled their businesses functionality requirements. 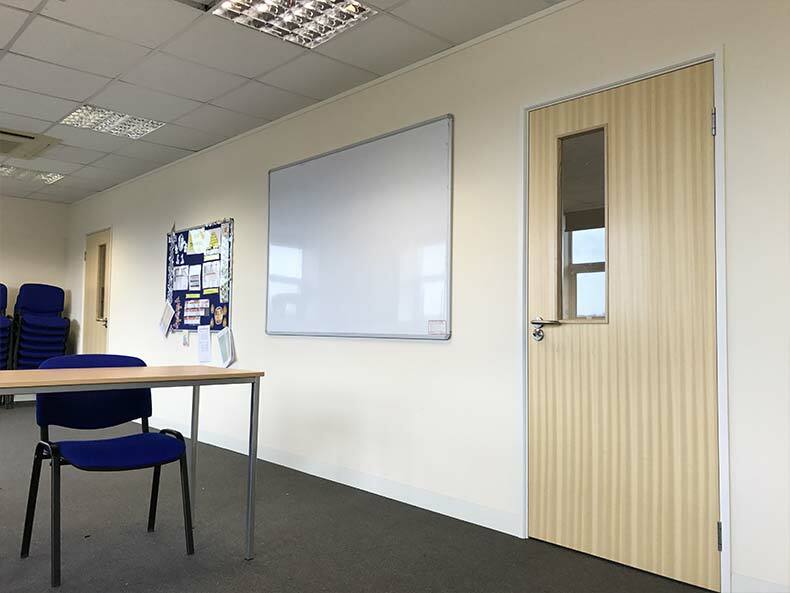 This included the creation of Partitioned Offices, Meeting Rooms, Training Rooms, and the cutting through of a block wall to create a kitchen area. This was a hugely successful project and BOM IT are now directly benefitting from the work that we carried out. BOM IT Solutions are one of Bristol oldest IT businesses, serving the industry for over 50 years. They service large organisations IT requirements from their office in Bristol and are partners with Microsoft.